With Donald Trump now gleefully egging on his supporters when they scream, “Sieg Heil!” as security roughs up protesters, Ted Cruz embarrassing himself by reciting quotes from The Princess Bride seems positively quaint. All the same, Mandy Patinkin isn’t having it. 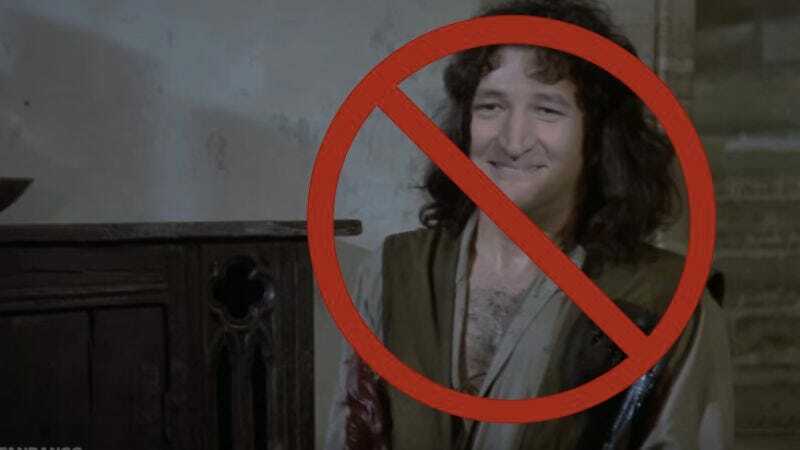 Cruz, a human jar of mayonnaise who is starting to overtake Trump in the Iowa polls, has evidently been doing his Princess Bride schtick for years, occasionally trotting it out on the campaign trail. The quotes, which he attempts to do in the actual character voices, represent just one of several cringeworthy pop-culture impressions in Cruz’s repertoire, a pastime that is presumably responsible for countless clenched jaws and cluster headaches among his advisers. Mr. Cruz, in Mr. Patinkin’s heavily left-leaning worldview, is trafficking in the revenge business, appealing to anxious voters by saying of the Islamic State, “We will carpet-bomb them into oblivion,” and by exploiting fears about immigrants and Muslims. “Senator Cruz, if you’re going to say those lines, you’ve got to say the other line, too,” Mr. Patinkin said.